This morning I received an urgent call that my disciple Hari Bhadra dasi, who is very ill with cancer, was about to leave her body. She is the mother of my bodyguard, Kärtikeya dasa, and has been staying in his apartment for many months. Along with Uttama Sloka, I hurried to their apartment. Kärtikeya told me that his mother was still holding on to the idea that she could live, despite her terminal condition and was unwilling to leave her body. She was maintaining many attachments despite Krsna’s warning that death was coming soon. “Hari Bhadra, we are here to chant for you because it appears that you’re going to leave your body. Don’t be afraid to give up your body, because you have an eternal, spiritual form with which to serve the Lord in the spiritual sky. Whether you leave today, tomorrow or next week, you’re surrounded by devotees who are chanting the holy names, and that’s a definite expression of Krsna’s mercy and kindness upon you. “Krsna is here in the form of His name. The holy name is our best friend. It was the holy name that attracted you to Krsna consciousness, it is the holy name that has maintained you in Krsna consciousness, and it is the holy name that will take you to Krsna’s abode. So, all of your senses should be focused on chanting now. “At death we are afraid because we think, ‘I’m alone. I have to face this all alone.’ But you’re not alone. Your guru is here. Your devotee son is here. Your devotee daughter-in-law is here. The Vaishnavas are here. And we’re all here for one reason: to help you pass the final test. 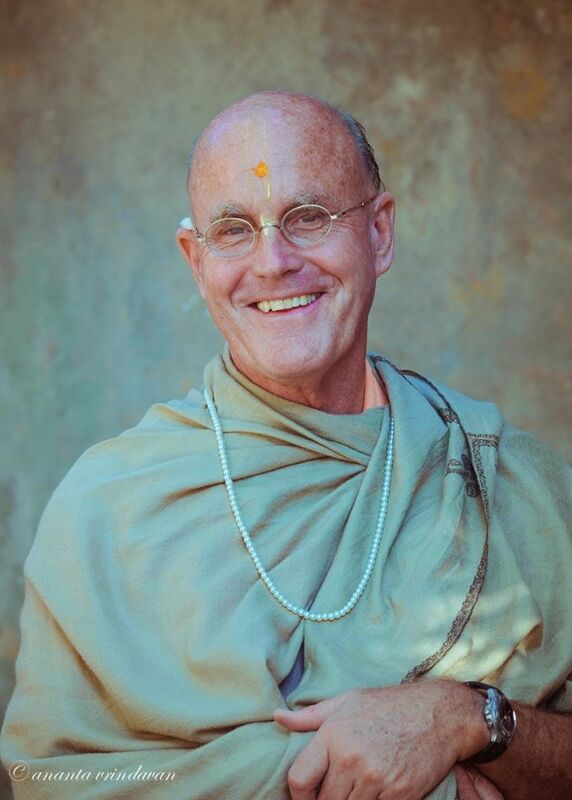 You’re not the first ISKCON devotee to have to pass this test, and you won’t be the last. We will all be in this situation, sooner or later. So you should encourage us by setting a good example, and face death with a smile on your face, because you’re going back to Krsna. Late into the night, Hari Bhadra rested, and I left.